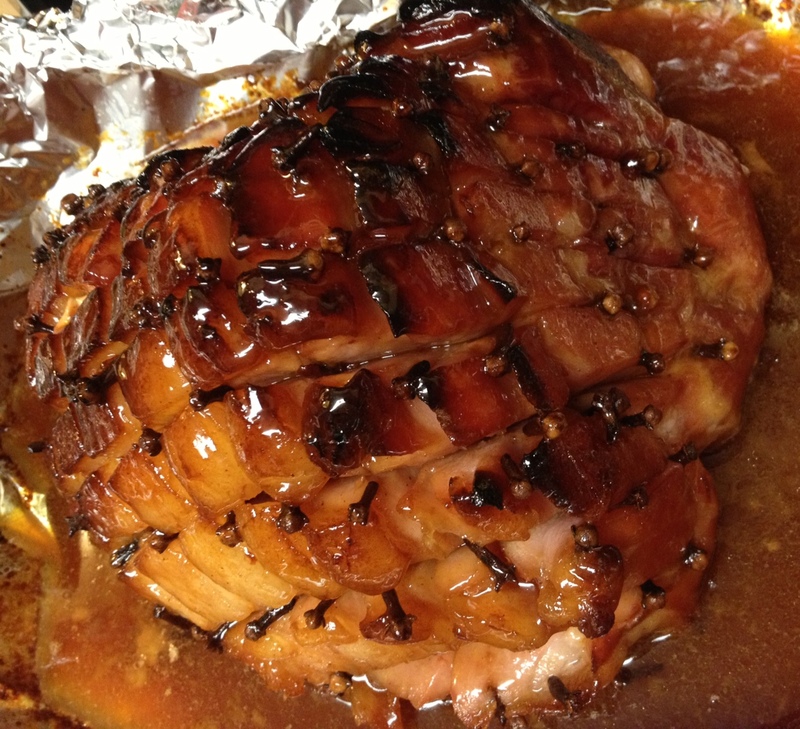 I love a honey-glazed ham over the holidays so when I see hams go on special at my supermarket I’ll scoop one up and do a mini-holiday in between Easter and Thanksgiving. Why wait? 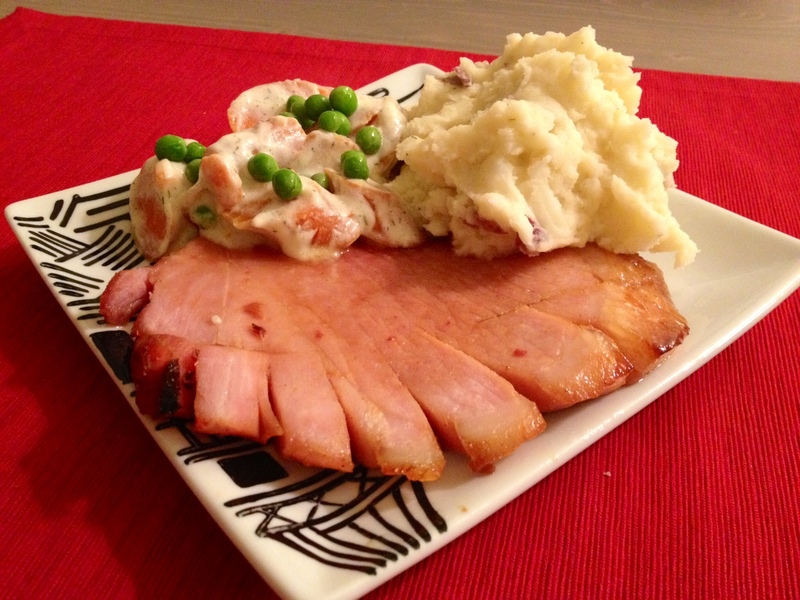 I don’t go too crazy–honey-glazed ham, mashed potatoes, and a veggie and scrumptious Sunday dinner is served. While a pre-glazed and pre-sliced ham is nice and easy, buying a whole ham saves a lot (I paid just $10 for a 7-lb ham) and means you can stud it with cloves and make your own simple and tasty glaze. 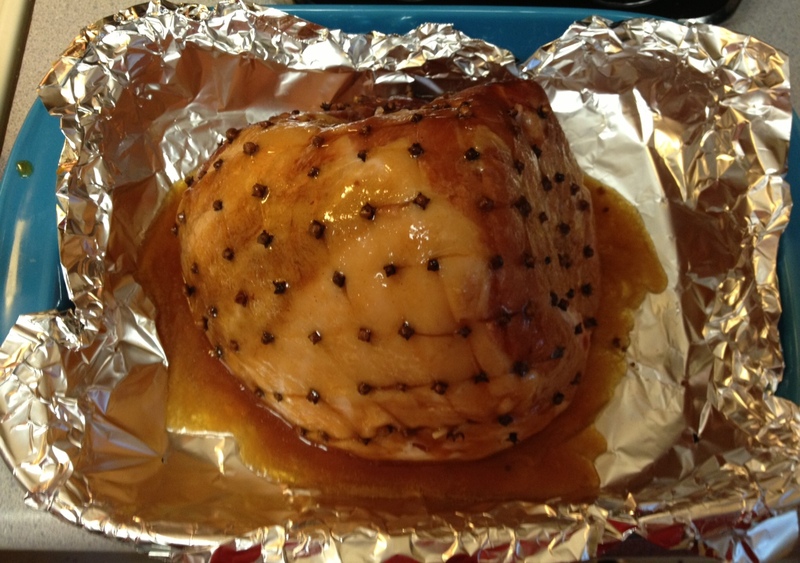 The most time-consuming part of this ham recipe is definitely studding of the cloves so if you have little ones around then this is the perfect job for them. Helpful Tip: Whole cloves can be pricey if you look for them in the regular spices section. Check out your Hispanic or International foods section in your grocery store and you should see they are much cheaper ($2 vs. $5)! 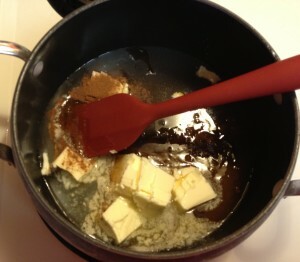 In a medium saucepan, melt the butter and add the remaining ingredients. Bring to a boil and then reduce to a simmer while you prepare the ham. With a pairing knife, deeply score your ham with long criss-crossing stripes, at least an inch deep. 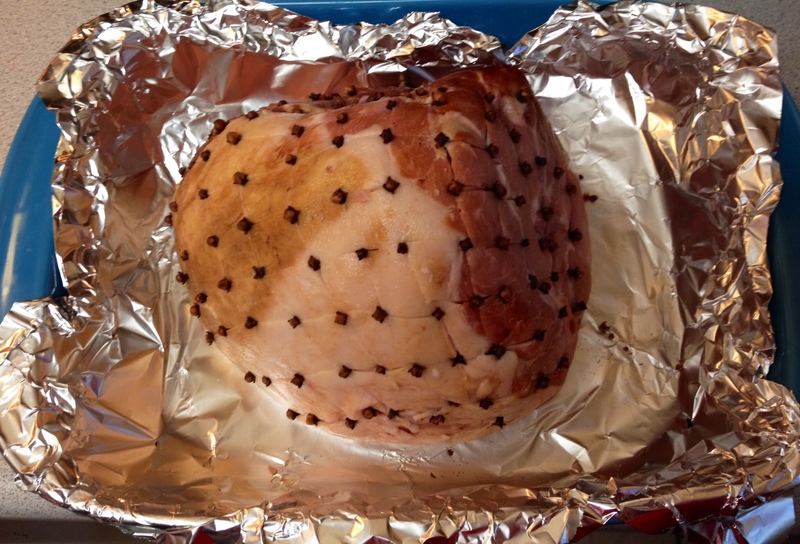 Where the points meet, stud with a whole clove, until the entire ham is covered with cloves. 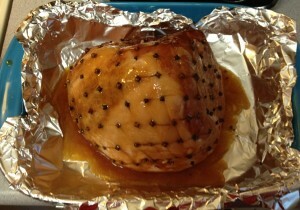 Remove glaze from heat and glaze ham liberally, reserving some to continue glazing while ham is cooking. Bake in oven 17 minutes per pound, glazing every 25 minutes or so. 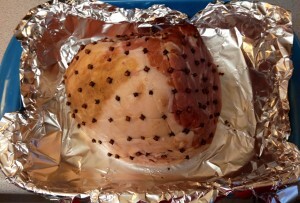 Prior to removing the ham, turn on the broiler and broil for 3-5 minutes (keeping a very close eye!) 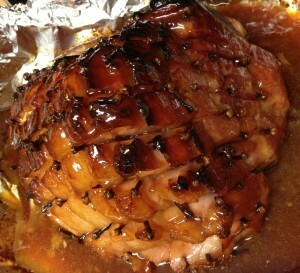 to let the ham and glaze get nice and crispy. 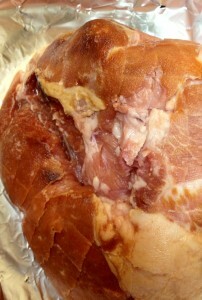 Remove ham from oven and rest about 10 minutes prior to serving. This looks so yummy. Sounds pretty easy, too. Thank you for all the great recipes and the little snippets that accompany them.